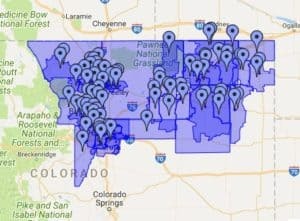 Northeast Colorado - Logan, Phillips, Sedgwick, Washington and Morgan Counties and the Front Range including Sterling, Fort Morgan, Akron, Wray, Yuma, Holyoke, Julesburg, Logan, Phillips and Yuma. Feel free to contact us, if your not sure we service your Area. New roofs, roof restorations, roof repair, roof rebuilds, roof replacement. 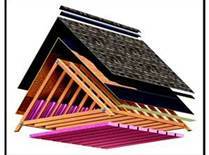 We are a premier provider of roofing services in Northeast Colorado. Our ultimate goal is to provide you with top-notch customer service. After all, we would not exist with you! We have quick turnaround times between estimates and roof completion. Our roofing insurance claim experts will work with your insurance company through every step of the claim process. An inspection of your roof will take approximately 20 minutes and cover the roof, windows, paint, gutters and siding. A free estimate will be given for insurance purposes. This estimate will not obligate you as a homeowner in any way. Elements Roofing is a reputable professional roofing company in Northeast Colorado and an expert in both commercial and residential roofing. Once we have discussed the details of the estimate and you are ready to proceed with the repairs and/or replacement of your roof, we will sign a formal contract and assist you with the processing of your insurance claim. The claim can be a daunting process. Elements Roofing has expertise in the area of the handling of claims with many insurance companies. Let us help you with this process. We want to make sure that your roof and, in some cases, other structures on your property are repaired and/or replaced due to the damage caused by hail and wind. Most insurance companies will pay 100% of the cost, minus the deductible, for a new roof if the roof was damaged by hail. If you are unsure whether you have damage to your roof, call us and we will happily inspect it for you. Questions about us or your roof? No Time, Now. Click the Button to the right and fill out the form.